Store speed is very important for visitor experience. In fact, Amazon estimates that every 100ms in store slowness results in a 1% drop in profits. That can add up to big money, especially when you realize that 100s is a fraction of a second. Even worse than this, Google ranks sites in its search engine results according to speed. The slower a store the lower the rankings which means fewer customers for your store. Fortunately, Extendware offers many Magento extensions that can improve your stores speed. Today, we are going to look at speeding up generation time. This is how fast your server generates the pages for the browser. Load time is a function of generation time + download time, so both are very important. We will discuss download time in a later post. Full Page Cache is essential for ensuring that pages are generated in a reasonable time. 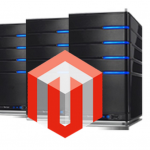 Due to Magento’s EAV architect it makes heavy use of database joins which can slow down the server. Taking load off the database server helps scale the store much better and that is exactly what a page cache does. Extendware’s page cache is best in class page cache. 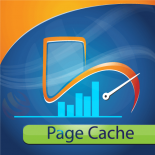 It is multi-level cache with 3 levels of caching that ensure page generation time is as low as possible. The way a page cache works is easy to understand: When someone visits the page the output is copied so when someone else visits the same page it just needs to be re-outputted without re-accessing the database. This of course means that someone must first visit the home page before the fast version will be shown. As a result, if you have many pages and low traffic you will want a Cache Warmer to visit pages and ensure they are in the cache before customers visit the page. 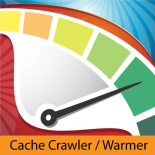 The Cache Warmer is an extension that compliments the page cache by visiting store pages before actual visitors do to ensure they are in the cache. 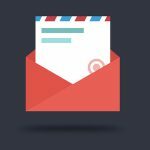 The overall result is that more human visitors will see the super fast, cached version of your store. The cache crawler several unique features such as the ability to crawl as a logged in user, ability to to crawl deeply into your catalog, and it can even crawl your search results. In addition, adding custom urls to the crawl is very simple. Perhaps the best is that it will watch server load and pause itself if server load is too high. As a result, it never forces real visitors to compete for resources.. When you use a page cache the percent of visits that use the cache versus those that do not is important. The Cache Warmer will increase this percentage. The Page Cache + Crawler is a good combination to reduce the generation time of your store which is arguably the most important performance metroc for SEO. Later on we will talk about how to improve the Download Time. That is how fast the site takes to download once the first page is generated. 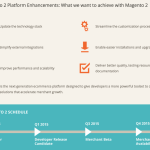 For great performance extensions have a look at Extendwares’ Magento extensions. You won’t be disappointed.